The 100th anniversary of the Namiki group is cause for a special celebration. 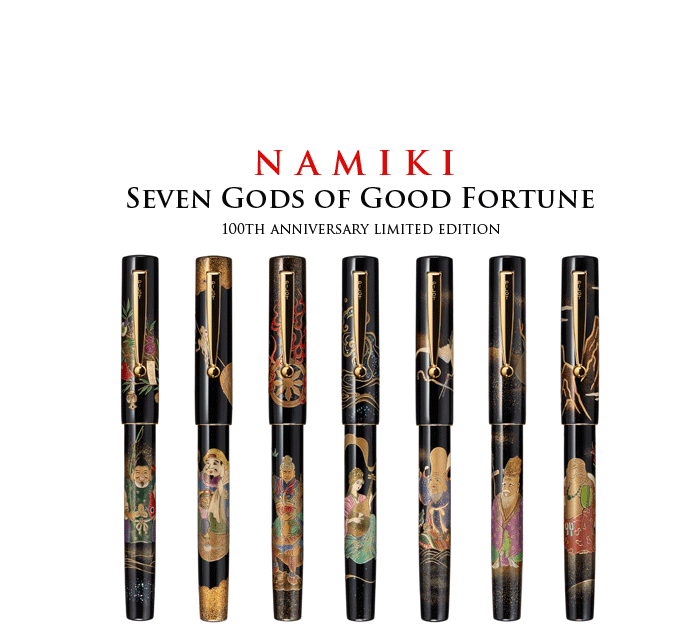 Seven artisans from the present Kokkokai group contributed to the creation of seven Yukari-type fountain pens. They are all equipped with a clip and an 18-karat gold nib. Each model is made in Taka Maki-e and shows one of The Seven Gods of Fortune. Only 25 of 150 of each pen are available in Europe. Please contact us for available numbers. Nice collection. Wish i can buy that. You can purchase at Goulet Pens. They are wonderful- excellent resource and customer service.